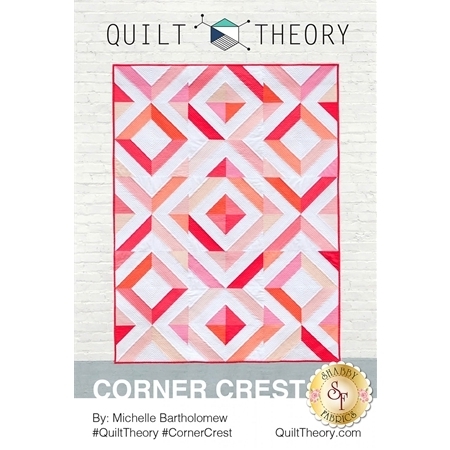 The Corner Crest Pattern by Michelle Bartholomew for Quilt Theory is pre-cut friendly and printed on a 4" x 6" high quality glossy post card. 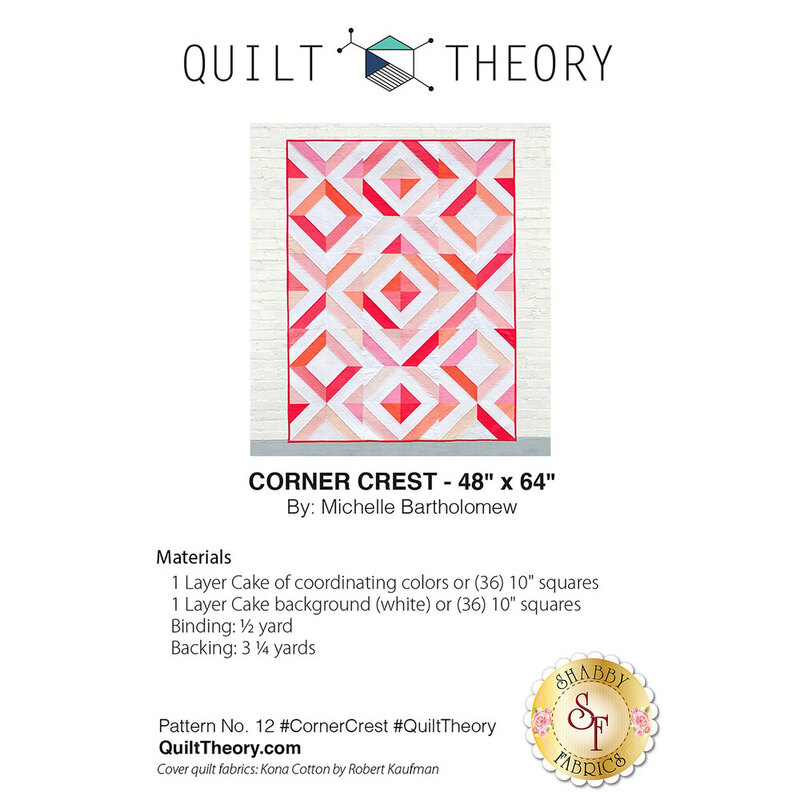 This beautiful pieced quilt uses a one block design that works great with layer cakes. The finished quilt measures 48" x 64".